Provincetown Theater's new Artistic Director David Drake has created the Provincetown American Playwright Award, honoring Provincetown’s long history as a writing location for playwrights like Eugene O’Neill and Tennessee Williams. As part of his first season, Drake is directing a summer run of Terrance McNally's Tony-winning 1995 play Love! Valour! Compassion! from July 16 through August 20 and will also award McNally as the first recipient of the Provincetown American Playwright Award. 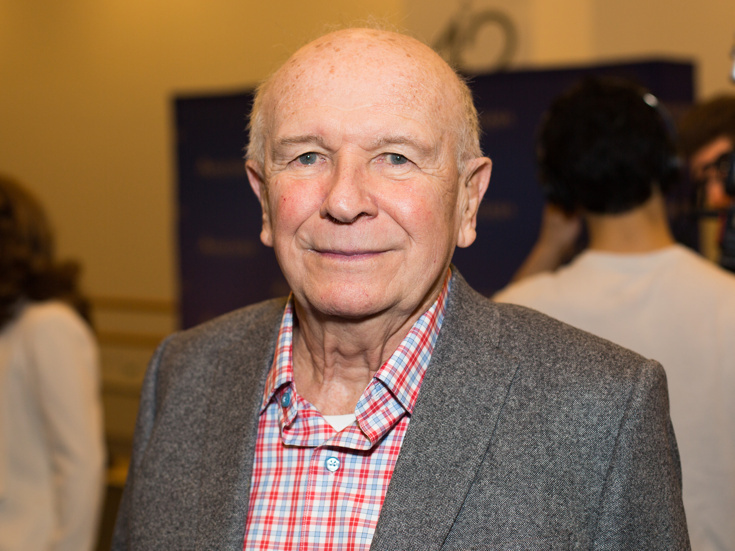 McNally has over 15 Broadway credits including Anastasia, Catch Me If You Can and Ragtime. The ceremony, which McNally will attend, will take place on July 20. Jim Steinman’s Bat Out of Hell—The Musical officially has its own original cast recording! Them musical, which debuted at the Manchester Opera House in Manchester, England, in February 2017 and then opened in London in June 2017 before moving to Toronto, Canada, from October 14 through January 7, 2018. The musical returned to London's Dominion Theatre in April 2018 and is set to premiere in Germany in the fall. The musical, which is based on the album of the same name by Meat Loaf, is a loose retelling of Peter Pan and Wendy, set in post-apocalyptic Manhattan, and follows Strat, the forever young leader of The Lost, who has fallen in love with Raven, daughter of Falco, the tyrannical ruler. The cast recording, lead by Andrew Polec and Christina Bennington, is now available in digital and streaming formats with a CD release scheduled for later this month. Tab Hunter has died of a heart attack at the age of 86. Hunter made his Broadway debut in 1964 for The Milk Train Doesn't Stop Here Anymore after starring in the 1958 film adaption of Damn Yankees as Joe Hardy. His many screen credits include Battle Cry, The Burning Hills, The Girl He Left Behind, That Kind of Woman, The Sea Chase, Operation Bikini, Grease 2, Polyester and many more. He is survived by his longtime partner Allan Glaser.